I am currently in the process of breaking up with my right hand. A few years ago, precisely six years ago, I lost function in my hands and fingers. I was an undergraduate at the time, a Literature major, and I was in desperate need of functional hands. How else would I write long essays? Our exams consisted of filling up empty pages with as much intellectual jargon as you could possibly manage. Of course there was also the Multiple Choice component, but that was manageable; it’s really easy to form a circle around a letter, even kindergarteners can do that. Messy circles, but hey, it’s no art class. I barely managed to take my exams, and I requested more time to write. My handwriting was barely readable – but then again, it hardly ever is. It was simply more deformed. Fortunately, my professors were understanding and did not acknowledge the sudden dysfunction that arose. I passed, with a flying (and flawed) blue pen in my hand. Eventually, I regained function. Things went back to normal. Until a few days ago, when I realized my right hand had re-developed a tremor. Wonderful. Not only does it come at the most inappropriate time, but also, it is one of those tremors that medical terminology labels “Intention Tremor.” Simply put, this type of tremor is at its worst only when you want to use your hand; i.e. voluntary movement. When at rest, it is functional and as good as new. Ironic, no? I depend on my right hand for nearly everything. My left is nearly non-existent. So, as always, I like to have a back-up plan. My favorite definition, is naturally, the third. To be deceitful. Who would I be deceiving? First off, it seems that one needs to trick their brain, the subconscious, into thinking that the left hand is now the dominant one. I am wearing my watch on my right hand now, hoping that this will help fool my brain into re-adjusting itself. Also, I have to buy writing notebooks, the ones that second graders use to learn cursive. I should be practicing my writing. Also, I have to keep my right hand in my pocket at all times. Because it is no longer visible, I hope to deceive my brain into thinking it does not exist. I am trying to break this cycle of dependency. This right hand of mine has all the power, and it’s time for us to breakup. This will require determination, because I am absolutely in love with my right hand. She’s the one who does everything for me – eats those juicy steaks, writes those long essays, types insanely quickly on my phone, makes my morning coffee – the list is endless. But, she can no longer serve me the same. I have to move on. Let’s see if I’ll make it. You wake up one day, and suddenly, your feet do not belong to you. They are, most definitely, separated from your body. But no, that can’t be, because you look down, and yup, they’re still there. You touch, and you sniff them. They feel like they have been suffocating under woolen socks for years on end. Okay, time to wiggle my toes, before I actually attempt the impossible: getting out of bed. Each toe feels plastered to the other. And, as if they have plotted to work against my brain’s insufficient commands, they decide not to move. I reach over, attempting to massage them. Nothing. They refuse to respond. I drag myself out of bed, knowing exactly what this means. Today, my feet won’t be able to touch the ground without feeling like I am wearing an infinite amount of socks. Blood stops rushing to them. And each step towards the door feels as though I am walking through water, and my socks are drenched in mud –my feet are heavy. I open the door, to call for my mother. I need to tell her that I need help putting on my socks and shoes, because this looks like just another Multiple Sclerosis relapse. I have a best friend. She’s around seven years old, in dog years, that is. In human years, she’s in her forties. Flake is a mixed breed, a hybrid, just like me. 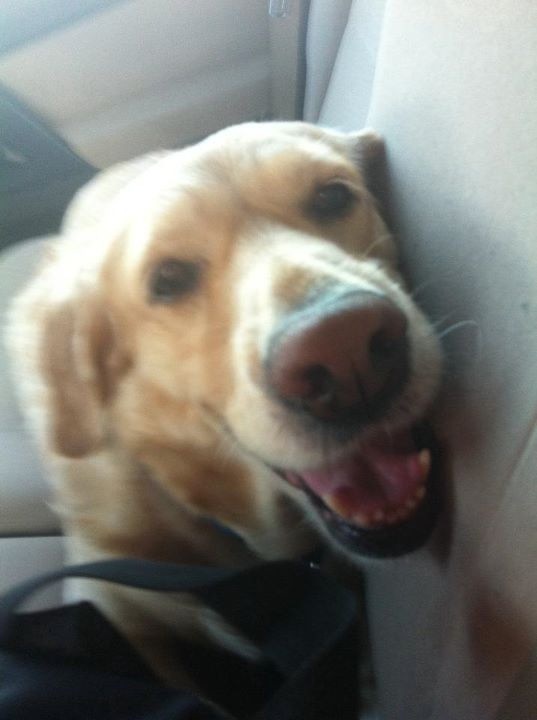 She’s also a very shy, awkward dog –a bit like me. And Flake is one hell of a tough dog. At home, we call her “Tough cookie.” Also, a lot like me. I have never actually been able to write about Flake. It’s very intense for me, there is a lot of love there; and a deep bond, a friendship that has grown over the years we have known each other (and of course, we have had our ups and downs). Today, however, something happened. That’s when I realized I need to at least try write about the connection we have. I was walking Flake, and our other dog, Eddie. Eddie is quite a character, and one day I’ll get to writing about him, too. Eddie is nothing like Flake; he is popular, social, extremely good-looking, impatient, a bit selfish and self-absorbed, and well, a bit of a douche. But I love him anyway. As I was walking them, something happened to Flake’s paw. From where I was standing, I could see that she was in pain. Eddie and I were walking ahead of her (because she has arthritis and struggles to keep up), and I turned around and noticed that she was no longer walking, that her hind leg was stuck in an awkward position, pointing upwards, and she was unable to put it back in place. She looked at me with her big chocolate droplets of eyes and pleaded for help. Eddie, always a handful, thought she was playing, and immediately got into his playful mode. He crouched into his playful wolfish position, a predator ready to attack, and I knew I had to take him back inside before helping Flake. She stared back at me, leg stuck mid-air, and froze. I ran back to the house, made sure Eddie was safely inside, and went sprinting back to my best friend. By the time I reached her, she was in a lot of pain. Granted, it only took me a few minutes to get back to her, but you try having a sharp hammer nail stuck in your hand. I held her leg, carefully examining her paw for the source of the pain. She glanced over her shoulder once, and let out a soft whimper. It must have hurt like hell when I pulled out that hammer nail which was stuck in her paw. But Flake trusted me completely. She could have easily flinched, easily barked at me, easily misunderstood –yet it was a moment of complete trust and surrender. Of course she showered me with wet kisses after, thanking me. But you see, I had done nothing. It was her who trusted me enough. I realized right then and there that the bond I have with Flake, is a bond like no other. It’s that, that moment, that moment where you know you both trust each other, and that there is mutual, acknowledged faith in the other. I do the same with her. She’s growing older, which means, more sleepless nights for us, and less fun. It means medications at difficult times. It means remaining strong, persevering. We both have to. Me and my MS, and Flake and her arthritis. There are two rules, both of which Flake has taught me. First, above all, do not give way to pain. Second, you must be there for your person, because your person has put their trust in you. It is a form of blind faith, blind trust, that humans have yet to learn. I have learned that people always disappoint, and almost always take advantage of anything remotely related to “blind” faith and/or trust. Rather than take that as a blessing, as a commitment, as something to appreciate and even more importantly, reciprocate, they let you down. It’s taken as a form of weakness to trust. To believe in the other. Dogs don’t do that. Dogs know it is a form of strength to believe in the other. It is a Law of Love that only dogs have mastered. And I continue to learn from them, and especially from Flake (who I will be writing more about). And now, here I am, just like everyone else. I want to pretend I don’t still hear your voice, waking me up. I need to let you go, you and your demons. But I really hope someone else saves you. I have been bleeding words for the past few months. And now, all I am left with is a few letters from an alphabet I can barely recognize. You’ve robbed me of my love for words. I hate that we shared our passion for literature, for poetry, and for stories. You’ve crafted one hell of a story for us. A beautiful one, no doubt. But you see, I understood you. And I still understand you. I knew the ending of this story. Foreshadowing exists for a reason- after all, I can’t be a literature major for nothing. I absolutely knew you would be the one to leave. And now you’ve left, and I am left with memories that might as well be a figment of my imagination. I called after you madly. And every night onwards, 2 a.m. haunted me. I’ve begun to despise the number. The clock mocks me, it repeats the same pattern every night, and it is always the same result. You, over there, and me, over here. Neither one of us reaching out. It takes two to tango, but really, only one of us to destroy the other. What you don’t understand yet, is that you have destroyed the part of you that was aching to be birthed, to be born –that part I had held in my hands, waiting patiently for it to come through. I waited for you to come through. Boy, I waited. For someone who has never waited, for someone who takes life two steps at a time, I put every ounce and every definition of the word ‘patience’ into the promise of you. It was merely a promise. Built on words, again. Built on a vision in the near, and the far, future. And I held on, because you promised me, so confidently, that you wouldn’t leave. But that’s only one version of the truth. I held on because I know you need me. You’re not telling the whole truth when you say you’re confused. You can’t be that confused. You’ve unconfused yourself the second you said ‘Yes’ to me. What’s left now is just fear. What kills me, what really kills me, is that now we’ll never know, just how brave you really are. And I believed in you more than I wanted to believe, and I was prepared to have my heart broken – but I was not prepared for this trauma. I was not prepared to believe that I really had no reason, whatsoever, to believe in you. I recently planned a quick trip to Bahrain. It was anything but planned. I even missed my flight, and had to rebook in order to actually get there, because I promised my family that I would make it. 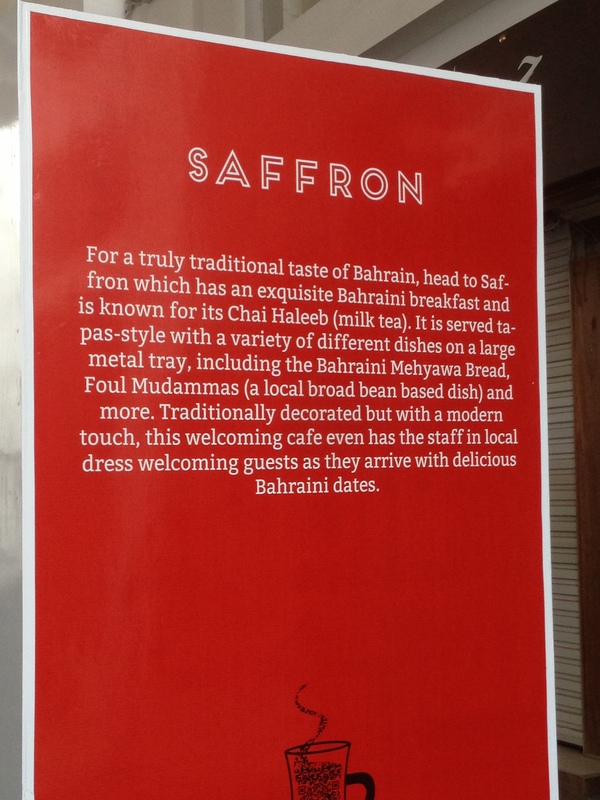 Bahrain is a place I had never really thought about. Yet after visiting, I’ve realized that it is a wonderful place to live, and it has a certain atmosphere I haven’t experienced in a long time. It has a calmness about it, a certain tranquility, and you feel right at home. I was really lucky though. I met someone who was very welcoming, very genuine, and very kind to me. We instantly became friends. She showed me her country, took me to see all of the best places, the landmarks, the major tourist spots, and opened her heart to me, treating me like a lifelong friend, rather than a complete stranger. Her approach to me reminded me that there are still kind people out there, that there is still some goodness left in the world, and of course, of the hospitality of us Arabs! 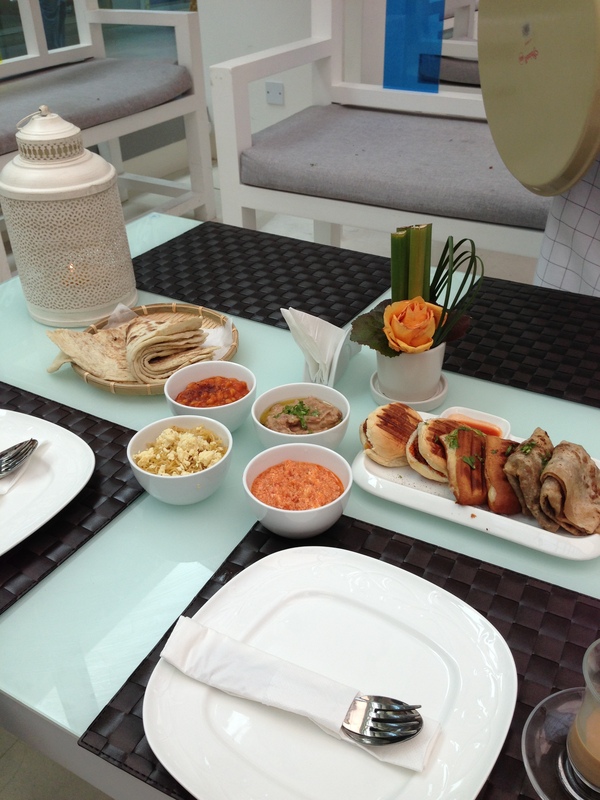 My friend took me for a traditional Bahraini breakfast, she insisted that I taste everything on the menu (and this really touched my heart), and made sure I was well taken care of throughout my very short visit. I had arrived to Bahrain with a heavy heart, as I was dealing with some issues, and found that sometimes, you just need to be reminded that good people still exist. Of course, Bahrain as a country did not disappoint, and the hotel was classy, elegant, and comfortable, the weather was great, and the food was mouthwatering. Perhaps I had a great tour guide- but either way, it is definitely worth checking out. Only fifty minutes away from Kuwait, and feels just like home! 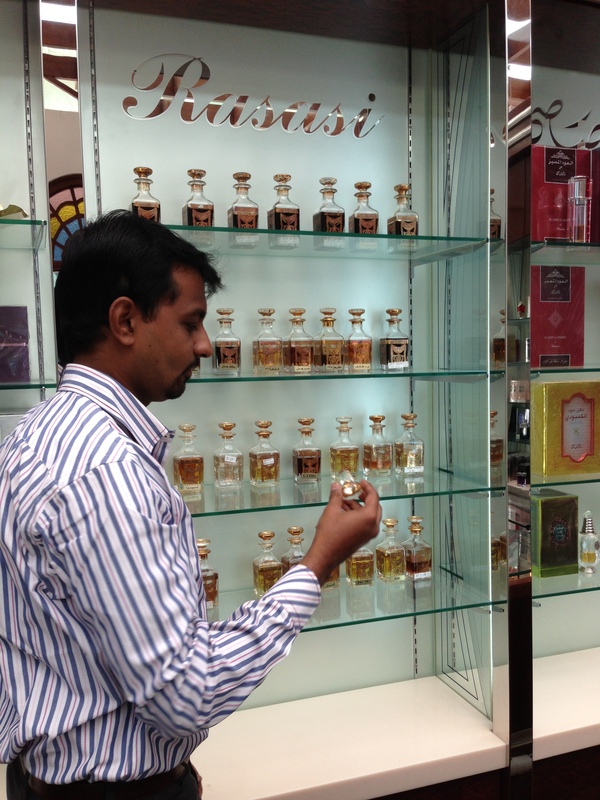 The Usual Oud fragrances- but with a Bahraini twist!